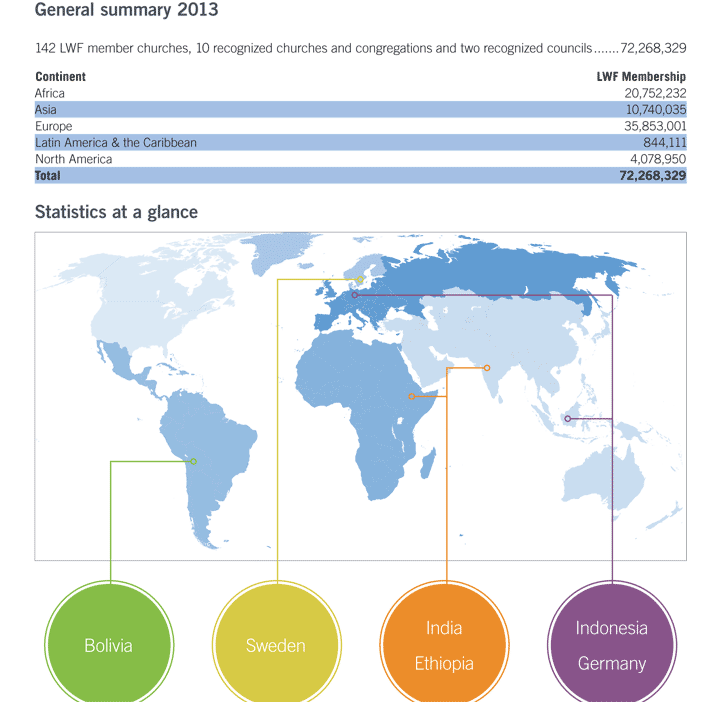 These excerpts from LWI 02/2014 summarize results from the 2013 statistical survey of Lutheran World Federation membership worldwide. Figures include LWF member churches and associate member churches, and recognized churches, congregations, and recognized councils. Statistics are based on data received by late February 2014. Available in summary and detailed form.